Casino Slots – game rules. Interface – see how to play Casino Slots on Cyberjuegos Multiplayer! After starting the game, players will see the Lobby screen. 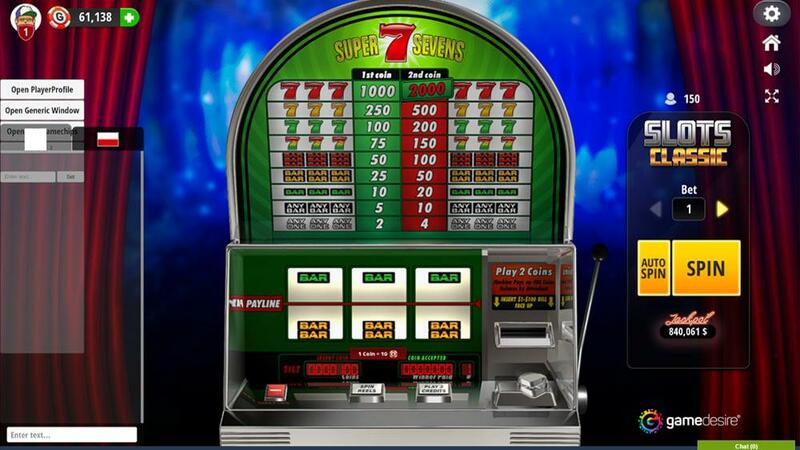 Here, a specific Slot machine can be chosen from six different possibilities. 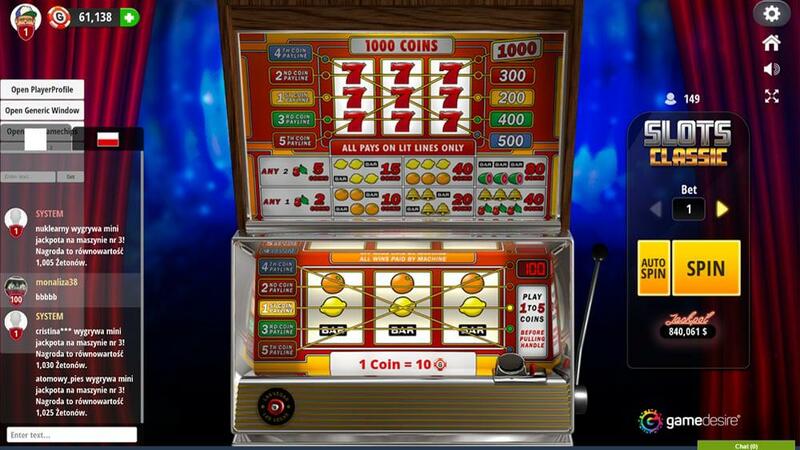 On the upper-left side of the screen, there is the in-game stake selector (10, 100 and 1,000 GameChips). On the right side, there is a button allowing players to buy more GameChips. 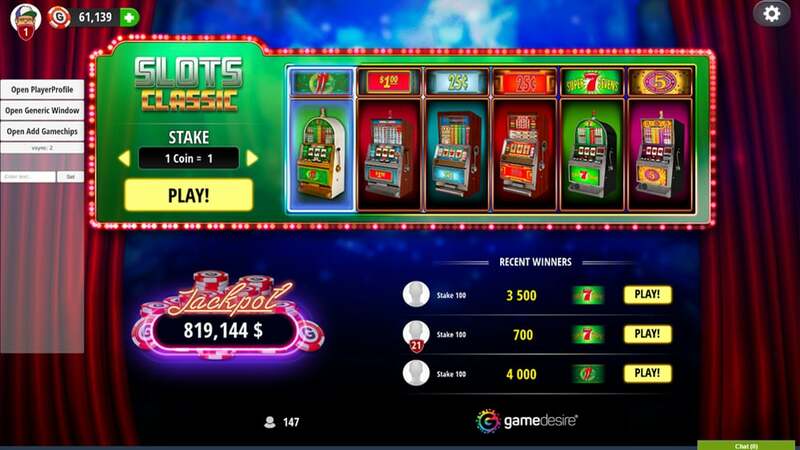 The upper part of the screen contains information about Jackpot. Jackpot is paid if its value is above 1 million GameChips. 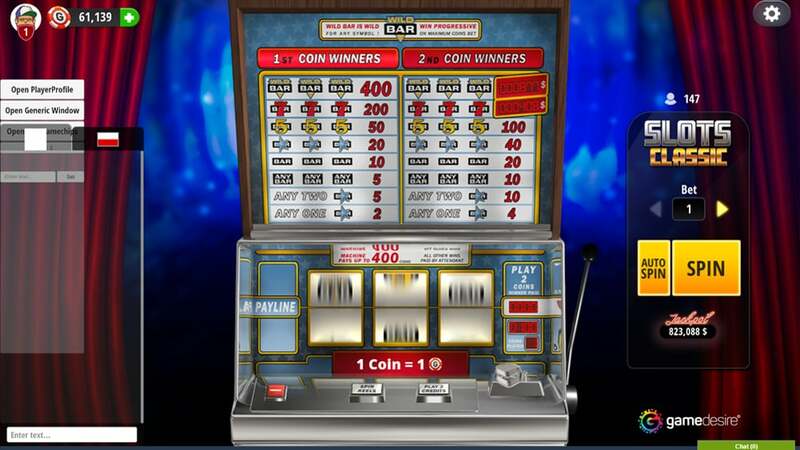 Prize can be won if player hits highest possible value on the chosen machine, no matter how many GameChips have been used to play. On the bar above the machine, there are four icons visible: GameChips purchase, Help, Screenshots tool and volume controls. The bar located at the bottom of the screen contains buttons showing if any person from player friends list is online, chat box for conversations with other players and current GameChips amount. Both bars are visible on every stage of the game. In this section messages written by players are visible along with system messages. Appearing as tabs, private chat with other players is available. Next to every player message there is a gray arrow icon changing color to green when the mouse cursor is passed over it. Clicking this icon will open a context menu that gives the following options: private chat conversation with the chosen player, adding him to list of ignored or friends or showing his mini-profile.